“It was like a mini Kumbh,” is how one of the 3,000 participants of the recently concluded World Hindu Congress (WHC) in Chicago described her experience. As the delegates and speakers shuttled hurriedly among the seven parallel tracks, it was as if they were moving between the ‘ghats’ (banks) for a ‘Ganga snan’ (dip in river Ganga). The ideas came from all directions and streams at the confluence of Chicago — the ‘sangam’. Of course, the deliberations in those panel discussions were thought-provoking and enlightening at the same time. 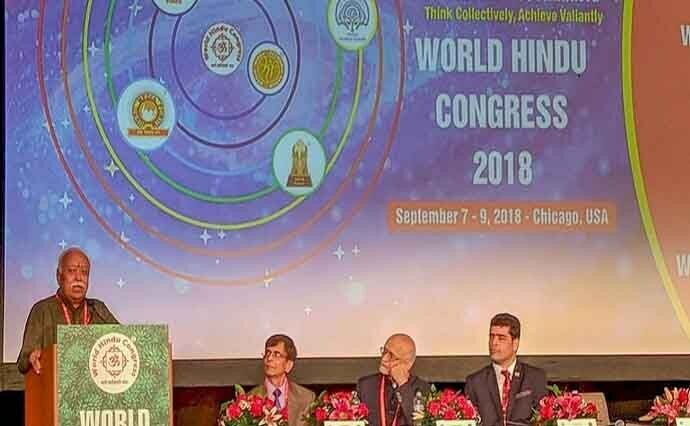 The World Hindu Congress, about which there was very little known just a few months ago, turned out to be a major rallying point for Hindus from across the world. The follower count of its Twitter handleswelled from a meager 3,000 or so in late August to 15,000 by the end of its concluding session. Initially, only one hotel was booked for the event, but as word spread, the number of participants started increasing and finally, the number of delegates swelled to over 2,500 from more than 60 countries. That forced the organisers to book two more hotels to lodge the delegates and add an additional ‘overflow room’ for its plenary sessions. The first WHC was held in New Delhi four years ago. Though it created quite some buzz in India, the impact of the Chicago Congress was much more intense. Primarily because it had the emotional connect with this American city — the place where Swami Vivekananda had delivered his historic speech at the Parliament of Religions, 125 years ago. The recent past has seen an unprecedented political consolidation of Hindus. At the same time, many historical facts pertaining to Hindu civilisation that were either hidden or marginalised in academic discourse started to spring up, thanks to wider and instant internet access. Old myths have been busted. New facts emerge on a daily basis. This has helped embolden the confidence of Indians in general and Hindus in particular. In this background of Hindu resurgence, politically and otherwise, the WHC has achieved its major objective — of consolidating Hindus. Apart from bringing together prominent Hindu think tanks, sects and organisations under one umbrella, the meet was successful in sending out a clear message, especially to India, that an alternative narrative has emerged and is taking a crystal-clear shape worldwide. This new narrative, based on dharma, is as modern as it is scientific, progressive and liberal. But at the same time, it is also firmly rooted in Indian culture and traditions. This narrative is based on the concept of equal treatment and mutual respect, and it proudly underlines the contributions of Indian civilisation to the world. The conference attracted well-known academics like Professor Arvind Sharma (McGill University), Professor Makarand Paranjape (Jawaharlal Nehru University) and Professor Subhash Kak (Oklahoma, State University). These scholars not only emphasised these points, but also deliberated about the path forward. The speech by RSS chief Mohan Bhagwat in the inaugural session set the tone of the conference. His speech, delivered mostly in English, was a sort of a primer of the Hindu civilisation dealing with its ups and downs, strengths and weaknesses, disappointments and hopes. Bhagwat emphasised the need to seize the moment. “It is an opportune moment. We have stopped our descent. We are contemplating how to ascend. We are not an enslaved, downtrodden nation. People are in dire need of our ancient wisdom,” he said. 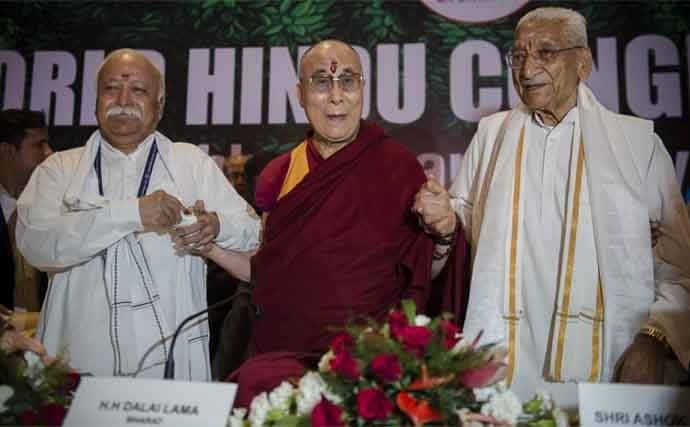 Many agree with Bhagwat’s assessment, that it is time to present dharma not only as the grand narrative of India, but as an alternative to the existing value systems. Bhagwat’s speech was deeply philosophical — and pragmatic at the same time. Anyone ascribing any negativity in his speech is completely incapable of a nuanced understanding of both Indian culture and philosophy and also lacks linguistic competence. 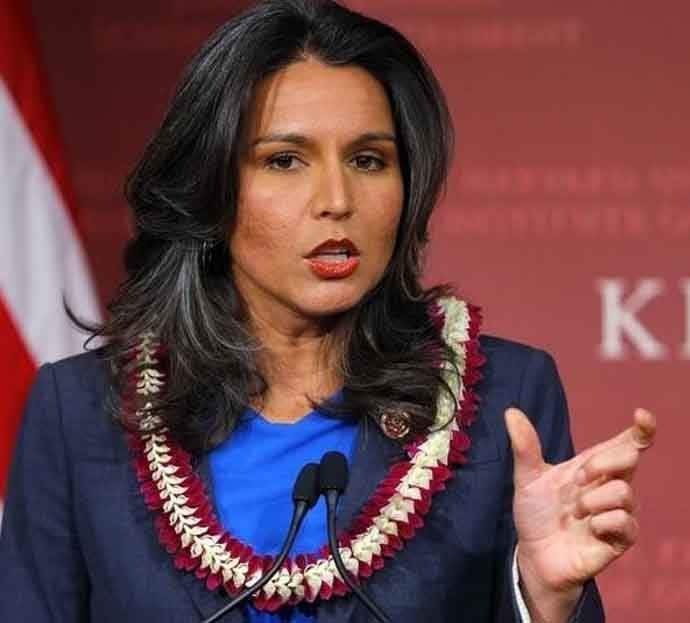 Though there was some initial disappointment as Tulsi Gabbard — the Congresswoman from Hawaii who had earlier confirmed her participation at the event as its chairperson, but withdrew later — the organisers made sure that it did not cast a shadow on the event. SP Kothari, a professor at the Sloan School of Management, Massachusetts Institute of Technology (MIT), stepped right into it. 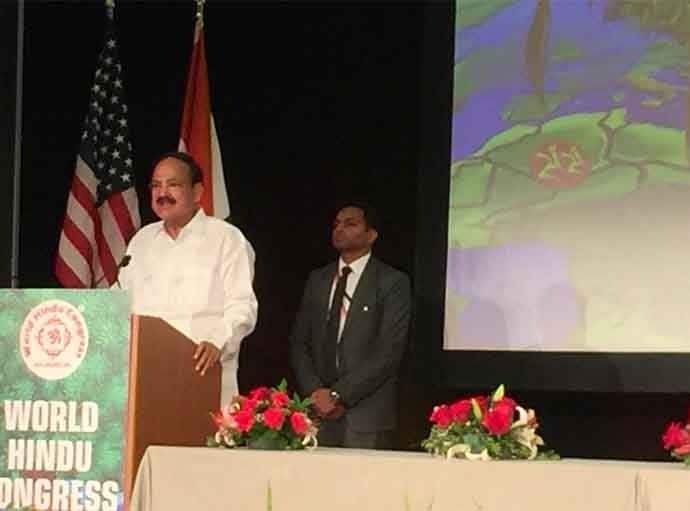 Among the dignitaries who attended the conference was Ashwin Adhin, the vice-president of Suriname and US House Representatives Raja Krishnamoorthi and Bill Foster. Bruce Rauner, the Governor of the State of Illinois, sent his message to the Congress and the Lt Governor of Illinois Evelyn Sanguinetti delivered a live speech. 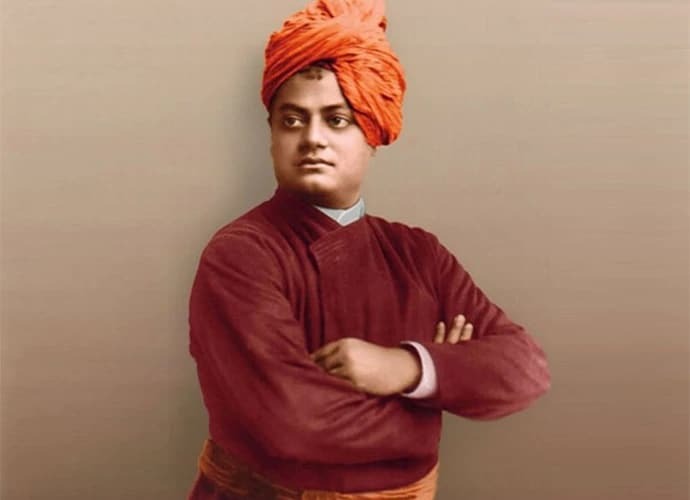 The governor also issued a written proclamation, declaring September 11 as Swami Vivekananda Day in Illinois that was read out during the concluding session. There was an effort to disrupt the event on the first day as a few women protestors, professing allegiance to fringe radical leftist outfits, managed to sneak inside the main conference hall. The conference, being a private event, was restricted to its delegates only. The protestors, however, raised slogans inside but were quickly booked for disorderly conduct and trespassing by the local police. These groups allegedly have a history of running rabid anti-Hindu campaigns in the past. Their campaigns reportedly include pro-Khalistani, right-wing Islamist and predatory Christian evangelists. Some of these groups had not only opposed but also ridiculed and bullied Hindus in their fight against inaccurate representations of Hindus in California textbooks. The groups have been known to reportedly misrepresent facts to spread hatred against Hindus in the US. Many WHC delegates saw this assault on the religious minority, albeit extremely successful groups of the US, as a human rights issue. The tactics and the dirty work of such groups have been well documented by many, including independent researcher and public scholar Rajiv Malhotra. But a positive and significant feature of the event was the thought-provoking discussions on economy, youth, women, Hindu organisations and temples, media, etc., which witnessed many meaningful discussions. There was a separate poster session, in which issues related to the Hindu community were depicted creatively. There were some concrete suggestions to support Hindu entrepreneurs as well. Taking a cue from Swami Vivekananda’s thoughts, it was decided to build a strong global network and help each other, so that India becomes an economic power in future. During the event, it was announced that the next WHC would be held in Bangkok in 2022. It is expected that the Bangkok event will have significant impact as there is likely to be more participation of people from India due to the regional proximity. Moreover, since Thailand is the gateway to ASEAN countries, the event is likely to create a bigger buzz in the region. There are many countries in the region that share historical and culture links with India and this is thus likely to strengthen these bonds.